Horror and dark fantasy author Frank Cavallo's work has appeared in magazines such as Another Realm, Ray Gun Revival, Every Day Fiction, Lost Souls and the Warhammer e-zine Hammer and Bolter. 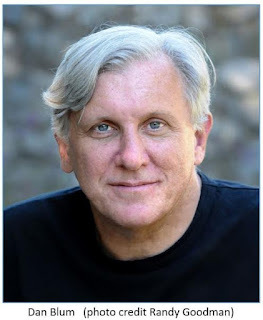 Readers can connect with Frank on Facebook, Twitter, and Goodreads. I was born and raised in New Jersey, just outside of New York City. The first time I can remember writing on my own, was in the third grade. I wrote a bunch of monster stories around Halloween that year and discovered that I really enjoyed it. I used to write in the middle of the night, and I still think that’s the ideal time for it. There’s something about the late night hours, when almost everyone else is asleep, that is just perfect. However, because of my work schedule I mostly end up writing during the day now. I miss those solitary late night writing days though. What is Eye of the Storm about? It’s the story of two people from Earth, an ex-Navy SEAL turned reality TV star and an intrepid scientist who are thrown into a parallel dimension, where they land in a kind of lost world. There they have to fight to survive in a land dominated by prehistoric beasts, warring kingdoms and dark wizards. It was mostly inspired by my love for things like “The Land of the Lost” and for old-fashioned Sword & Planet tales. No one is writing much of that stuff anymore and I wanted to do my small part to bring it back. I had a bit of a hard time finding a home for this one. Any book that doesn’t fit neatly into a category can be hard to sell, because publishers want to be able to “place” a book in a slot where they can market it to a well-defined audience. 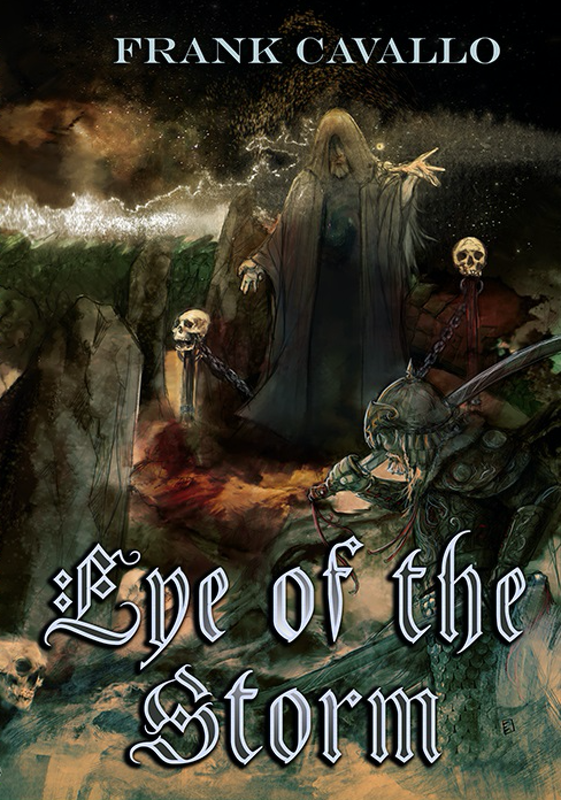 I tried a few fantasy publishers who weren’t sure they could market a book that is a blend of sci-fi and horror in a fantasy setting. I also tried a horror publisher who came at it from the other direction, he didn’t think his core readers would respond to a book in a fantasy setting despite the sci-fi & horror elements. 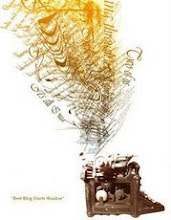 Eventually I found Ravenswood Publishing, which is a small independent outfit, and they were willing to extend a chance to a book that crosses multiple genre boundaries. Yes, I would have made it longer. I know that’s maybe the opposite of what every editor wants to hear, but in this case I think it’s apt. I made a concerted effort to write one stand-alone novel. But in order to do that I had to compress things that maybe should have been allowed more room “to breathe.” If I were writing it again, as cliché as this might be, I would be let it expand into a trilogy or a small series. One of the most frequent critiques I’ve heard about it is that there isn’t a ton of character development, and that’s true. It was never intended as a “character study” – it’s an old-fashioned pulp fiction adventure story. The setting and the action are the real focus, not the characters. But I take that kind of assessment to heart, because most of my work is character-oriented. As it stands though, at 400-plus pages, there just isn’t any room for more angst and “internal monologue.” If I were to do it again, I would “go bigger” and write it long enough to allow for everything: deeper characterizations along with the fantasy action-adventure elements. Live and learn, right? To the best of my knowledge it is available at every one of the major online book sites, Amazon, B&N, Kobo, you name it. Ironically, when I first started doing this, everyone wanted to know if a book was available at “brick and mortar” stores and the online sites were just a secondary option. These days, the reverse is true. I usually balk at answering this question, for fear of jinxing my next project. But since this is technically an interview based around Eye of the Storm I can safely report that my follow-up book, a Lovecraftian thriller called Rites of Azathoth has just come out, so that’s what I’ll be busy promoting for the next few months. Happy Memorial Day, everyone. 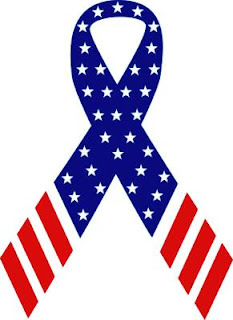 While we usually talk about books today, I wanted to pause to reflect on the many men and women who have given their lives to protect freedom around the world. May God continue to look over our troops here and abroad. 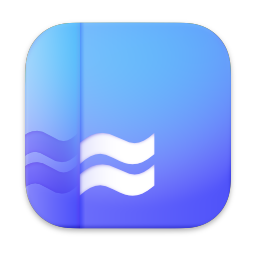 THIS WEEK'S RANDOM QUESTION: What is your favorite place to read in? Happy Monday! It was a nice weekend around here. The weather allowed me to work out in the yard and it was a productive working Sunday in real estate. 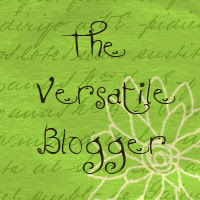 Other than that I've been trying to get back into a blogging schedule. I truly miss it. I will also be posting my review of Annie's Recipe by Lisa Jones Baker this week. As a light rain takes over the morning I wish you a wonderful week. Hope you'll share what you're reading. Where has this business planner been for the past three decades of my life? 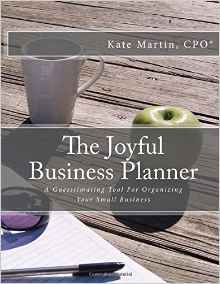 The Joyful Business Planner by Kate Martin is unlike anything you've probably seen before--which is why the author says she put it together. Broken down into five sections--Business Overview, Marketing, Yearly Tracking, Calendars, and Wish Lists and Aspirations--this planner has the systems to get you organized and on track to meet your goals. I could go on and on about The Joyful Business Planner, but in the end all I need to say is this: if you are a small business owner, The Joyful Business Planner is an essential tool for success. This is one of the most fascinating books I've ever read. 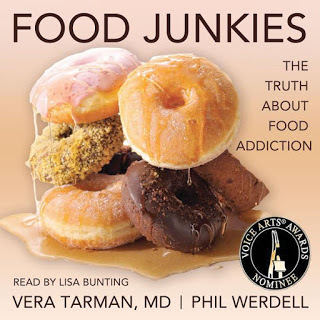 Food Junkies: The Truth about Food Addiction by Vera Tarman and Phil Werdell and Read by Lisa Bunting is an in-depth look into food addiction with accounts from struggling addicts, a look into the shame of the addiction, and offers practical advice for people struggling with problems of overeating, binge eating, anorexia, and bulimia. As someone who has struggled to eat healthy, Food Junkies was an eye-opening read. Learning about a variety of addictions and also how our bodies interact with what we eat is certainly helpful. Even when you know the health concerns, it isn't always easy not to over-indulge. Imagine how much more difficult it must be to cope with a food addiction and the shame that can come with it. There are stories of addiction in this book that will be tough to read, but if they help someone it will be worth it. Audible doesn't always work well with my device, so I purchased the Kindle version. I did, however, download the audio version on my PC and thought Bunting's tone and inflection good for this topic. If you're dealing with food addiction or know someone who is, Food Junkies is definitely worth reading; though I think it's a fascinating read for anyone interested in food and your body. I received an audio version of this book from the authors through Goddess Fish Promotions. This review contains my honest opinions, which I have not been compensated for in any way. 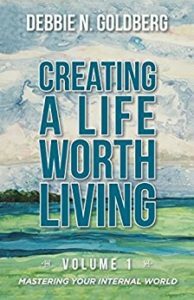 If you're looking to start on the journey of self-discovery, Creating A Life Worth Living Volume 1 by Debbie N. Goldberg can be a resource for you. 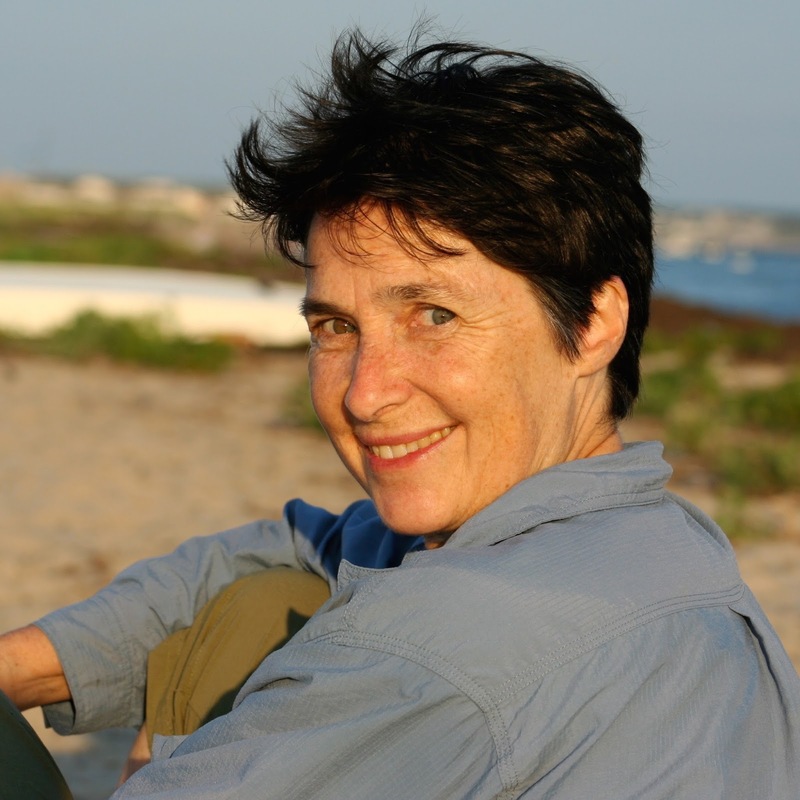 As a therapist for close to two decades, Goldberg helps others along their spiritual journey. In this first volume, she shares her own awakening and then provides the framework for the reader to begin their own journey. 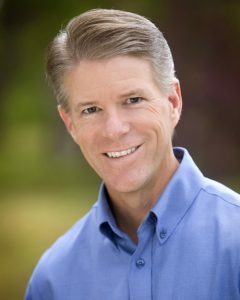 The author shares insights on the importance of reflection and discovering for yourself your purpose in life--not what someone else has told you it is; the importance of spending quiet time and pulling away from the chaos of life; and how we truly are self-sufficient. She has a soothing, conversational style that is perfect for this type of book. If New Age spirituality is of interest to you, Creating A Life Worth Living Volume 1 should be added to your reading list. 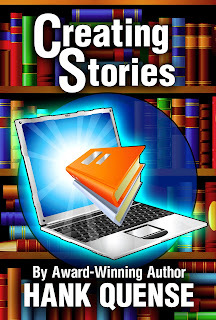 My recently published Creating Stories has everything I’ve leaned about writing stories over the last twenty years. Below is an extract on setting. Setting can do much more than describe the backdrop for the story. It should convey and define the time period and customs of the characters. It can set up the reader's expectations about the type of story he is about to read. It can start the reader's image-building process. Consider your characters acting out the story on a stage. Behind the characters, instead of the scenery typical with plays, there is nothing but white panels. The people who paid money to see the play would be dismayed by the lack of scenery, so too your readers will not like it if your story doesn't have the appropriate setting to back up the characters. As with the plot and other story development elements, the setting must dovetail with the overall story design. As an example, a Medieval setting won't work if the bad guy uses an automatic pistol (unless the bad guy is also a time traveler). Thus the setting places limits on what the author can do and can't do, so it's best if the author has the setting developed before the work gets too far along. The setting used in your story has to be accurate. Don't try to set a story in Manhattan's Central Park if you haven't been there. Likewise, the French Quarter in New Orleans is unique and shouldn't be used by anyone who hasn't walked the narrow streets. Here is an example of what can happen. I've lived and worked all my life around New York City. The Hudson River is over a mile wide here and the East River is nearly a half-mile wide. If you haven't been to Dublin, you may assume the Liffey River, which runs through that city, would be of similar size. It isn't. The Liffey is rather small compared to the rivers around Manhattan. Making the Liffey a wide river will destroy your credibility with those readers who have seen the Liffey. On the other hand, if you develop an imaginary location, you can make the city's river as wide as you want. Similarly, if you use a backdrop of a historical period in the distant past, none of your readers will have been there, but you'll still have to do research to get the setting accurate. You can't use St. Paul's Cathedral with its great dome in London right after William the Conquerer became king of England. St Paul's wasn't built yet. The setting of the story should be conveyed early to the reader, the earlier the better. Ideally, the opening paragraph in a short story or the first few pages in a longer work should give an indication of the type of story the reader is about to encounter. Is it a mystery set in Victorian London? Is it a story of survival set in war-torn Iraq? Are those vicious aliens on their way to Earth? The reader expects and has a right to know this stuff as early as possible. Don't disappoint the reader. She may put the book down and never open it again. An effect of establishing the setting is the placing of limitations on the author and the characters. For the author, a space ship means he shouldn't have the characters using swords and landline phones since these artifacts are from bygone eras. Your characters are also limited. A character in the Old West can't have knowledge of computers or smart phones, unless he's a time-traveler. If you write a story that uses weapons from a different era or knowledge not available at that time, you’d better have a good reason why it makes sense. You don't have to convince yourself, you have to convince the reader. 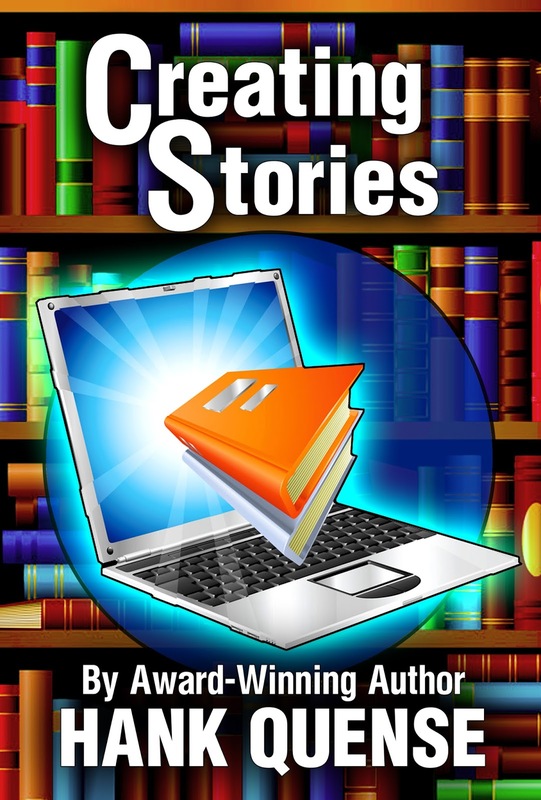 Hank Quense has penned a masterpiece in Creating Stories. Hank doesn't purport to tell reader how to produce creative ideas, but offers guidance on how to turn those ideas into readable fiction. I recommend Creating Stories unreservedly to fiction writers everywhere. For the wannabe writer who doesn't know where to start, this is the book for you. A good story must be told with care and this requires consideration and planning on the part of the author. The whole point of writing a story is to capture the attention of readers. Hank helps novice and experienced writers perfect their writing and tell a good story. I hail from the exotic hinterlands of Long Island, New York. My father is a pscyhoanalyst and my mother is a psychologist. If that does not drive one to distraction, and a bit of reflection, I don’t know what would. I currently live outside Boston with my family. I tried writing in high school, but those efforts have thankfully been lost to the ravages of time. My first passably decent piece of writing was actually letter I wrote to in college to a girl who I was interested in. It was a long, rambling, comic description of a train ride I was on, and it was something of an “aha” moment about how to inject life and wit into descriptions of the everyday world around you. Thinking back, it is not really surprising that my best early bit of prose was born of an effort to impress a girl. The good news is, the letter itself was definitely a success with its target audience. Unfortunately, the ensuing love affair was rather less successful. It lasted all of a month. Yet my love affair with the written word is still going strong. I have no particular pattern. I am neither nocturnal nor diurnal. I’m an omnivorous reader and a restless scavenger as a writer. The Feet Say Run is not an easy book to describe or classify. It’s really the story of the twentieth century told through a single, long, extraordinary life. 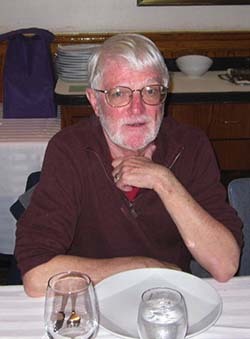 The narrator, Hans, is an eighty-five year old castaway, reflecting on his past. Hans grows up in Nazi Germany and falls in love with Jewish girl. He fights for the Germans on two continents, watches the Reich collapse spectacularly into occupation and starvation, and marries his former governess. After the war he goes on wildflower expeditions in the Alps, marries a Brazilian chambermaid in order to receive a kidney from her, and keeps reliving his war experiences. There are many, many interwoven stories. 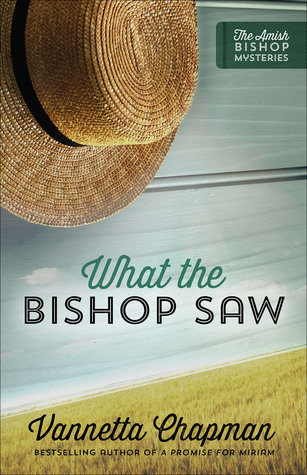 I think of it as a literary novel that is also a page-turner - full of comedy and tragedy and suspense. I wanted to the kind of novel I most like reading. I read mostly literary fiction, but I often find the stories way too slow, lacking in passion and humor and life. I wanted to write something that was gripping and hard to put down, that hit the reader on an emotional level, but also had beautiful prose. As a Jewish writer I also became interested in the German experience of the Nazi era, and how little that story had been told. The more I read, the more universal I felt the story was. We used to learn that caricature of Nazi Germany peopled by killer robots, people entirely unlike us. It was a comforting sort of myth, but a myth nonetheless. So I wanted to tell it in a way that made it real and human and understandable. I have a number of regular readers and supporters, and have been through a few different agents. My wife is both an avid supporter and an exacting critic – but that has driven me to be a better writer. But for this book my biggest supporter has been my publisher, Gabriel’s Horn Press, who really fell in love with it and pushed to see it in print. I am not. I have tried that experience and find giving and receiving criticism – the hidden competitiveness, the false-praise, even the the cliquish little subgroups within the group – to be extremely uncomfortable. It was more a roller-coaster ride than a road. This is actually my second novel. My first novel was Lisa33, which was published by Viking over a decade ago. I actually went from a long string of rejections to having publishers suddenly in a bidding war for my novel. That was quite surreal. In the end, for reasons I still don’t fully understand, the book was not promoted at all by the publisher. They took a financial bath on it, and I soon returned to obscurity. Ironically, my agent, who had assured me I would be famous, later came out with his own memoir and found fame with it. For years after that experience I ceased writing fiction entirely and even reading it. 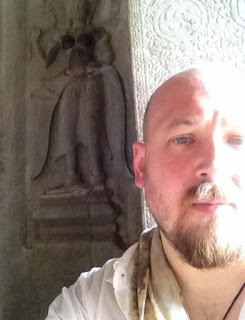 Yet one day I found myself working again, crafting this new story, and before I knew it I was in deep and – as they say in a military campaign – the only way out was forward. 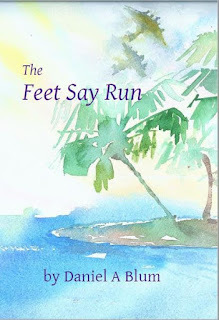 When The Feet Say Run was completed, I had few connections left in the publishing world. But I had posted a few poems to a public website, and my publisher had read an admired them there. She emailed me and asked what else I wrote, and I sent her the manuscript. In a way I feel I am one of the few writer to be “discovered” twice. Amazon and Barnes and Noble. We may be getting it into bookstores but for now it is online. THIS WEEK'S RANDOM QUESTION: Do you like to read when you are feeling under the weather? Happy Monday! It seems like forever since I was able to participate in this meme. Without going into too much detail, we were traveling through a valley for a period of time and blogging was the last thing on my mind. Thankfully, God has seen us through and we appear to be on the uphill climb. I've been trying to sneak a bit of reading in. My review of A Mother's Love by Charlotte Hubbard appeared here on April 28. I have a couple more reviews to post as well. 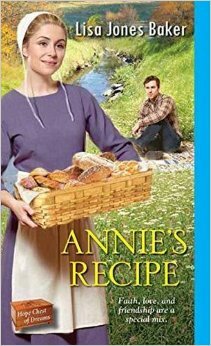 I'm now reading Annie's Recipe by Lisa Jones Baker. As for this week's random question: I tend not to get sick too often, but when I do it's usually so awful sleeping is all I can accomplish. When I am on the mend, but still not top notch, I'll definitely squeeze some reading in. How about you? Do you read when you're under the weather? Speaking of weather, over the next seven days at least five of them will have rain up here. Hope your weather will be a bit sunnier. Enjoy the rest of the week. I grew up in the suburbs outside of Dallas. I always say Dallas since most people have heard of Dallas. I loved growing up in Texas, I feel like there is this mythical identity you develop as a Texan. You grow up watching rodeos, going to the Alamo, and watching football. And everybody knows that’s how you grew up, so when you meet new people you have this instant connection. When I was in the 5th grade, we had an assignment to write a story for Halloween. Most people took the whole hour to write one. I ended up writing over 20 different stories. That was the year I caught the bug to be a writer. Several of my classmates wrote a play in that same class that we put on in front of the class. We paired off into teams and wrote commercials and made those for the class. I wrote a science fiction story that was had to be longer than 5 pages. I remember it being one of my favorite times in school. No More Magic Wands is a kind of case study about a company that has been hacked. This company just happens to make magic wands. 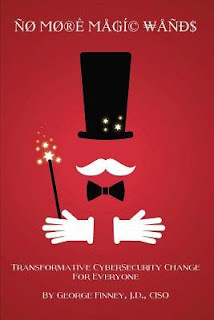 I wanted to explore the idea of how a company would respond if they could use magic to solve all their problems like we sometimes jokingly say at work. While there is some magic involved, ultimately the enchanted forest creatures have to work together to fix their company. Each chapter is a kind of fable focusing on a particular security concept. I get a lot of my story ideas while I walk my dog at night. I remember seeing this tree that I thought looked like the one from the Keebler Elf picture, and I started wondering what they would do if they got hacked. What if instead of cookies, they made magic wands and were used to solving their problems with magic? How would they change? No More Magic Wands lays out some of the basic principles that security practitioners follow and how businesses can implement them. Rather than just tell you those things, what makes No More Magic Wands different is that it shows you how a fictional company might do through short stories or fables. There aren’t always clear answers when it comes to security in the real world, so I wanted my readers to be able to walk away and ask the right questions when they go back to their office. Security is a team sport. If something isn’t your job, you expect someone else to do it for you. But security is a part of everyone’s job and everyone has a role to play. To be successful, we need everyone to understand what role they play on the team. My next project is a series of several choose your own adventure style stories for cybersecurity training. A lot of people learn through experience and it's too late to learn after you've been breached. 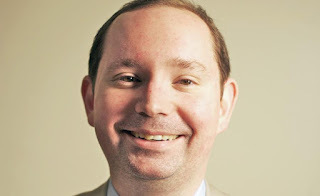 Being able to play in a choose your own adventure style world will help people recognize the common ways that hackers are exploiting people without the consequences of learning the hard way. I love hearing from my readers. Look up my blog and let me know what you think, www.strongestelement.com. Laura Foley is an internationally published, award-winning poet, author of six collections. She won the Common Goods Poetry Contest, judged by Garrison Keillor; and the National Outermost Poetry Prize, judged by Marge Piercy. Her poetry collections include: WTF, Night Ringing, The Glass Tree and Joy Street. 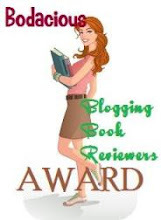 The Glass Tree won a Foreword Book of the Year Award; Joy Street won the Bisexual-Writer’s Award. Her poems have appeared on The Writer’s Almanac, in Valparaiso Poetry Review, Atlanta Review, Lavender Review, The Mom Egg Review, in the British Aesthetica Creative Writing Anthology, and many other journals. A certified Yoga Instructor and creative arts facilitator in hospitals, she is the mother of three grown children, grandmother to two granddaughters. She and her partner Clara Gimenez live among the hills of Vermont with their three big dogs. I grew up in Manhattan, the Upper East Side of New York City. I began writing creatively only when I was 45. This book is about my relationship with my father. It reflects also on his experiences as a prisoner of war in China and Japan during World War Two. I was inspired to write this book as a way to get to know and understand him, even though he has been gone for over twenty years; to reflect back on childhood memories and re-see them as an adult. I also began to understand who he was in the years before I was born. How is it similar to other books in its genre? Books of poetry often reflect back on a poet’s childhood. This one is different because of its focus on one parent’s remarkable war experience, and remarkable service to his patients (he was a doctor); it is also different because of the consideration and tone of hard-won forgiveness around the father-daughter relationship. Readers can learn that they too can re-think their own relationships to people from their past, and find healing from that inner work. They also may find their own life experiences reflected back to them through these poems. It is available from my website and on Amazon. I am working on a new full-length collection of poetry tentatively titled: Why I Never Finished My Dissertation. 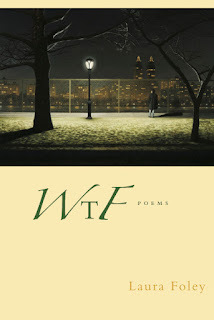 Thank you for having WTF on your blog site! My day job is actually being a patent attorney. 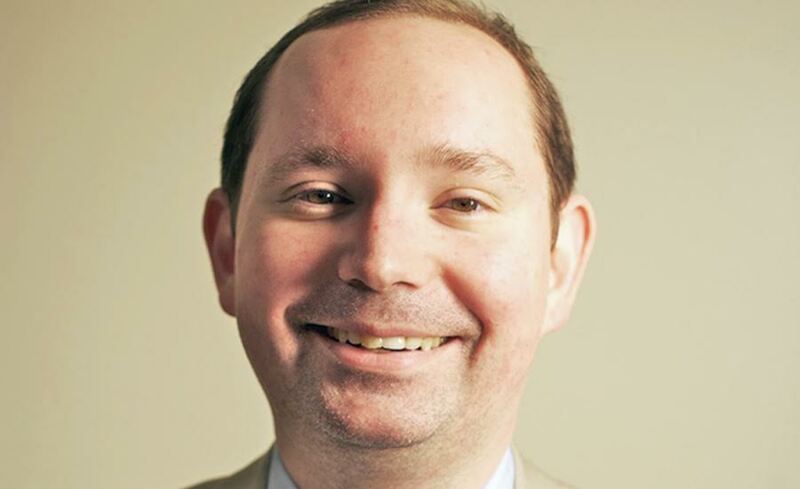 I am a partner with the firm of Kilpatrick Townsend. I help inventors get patents on things like drug delivery systems and life-saving cardiac equipment. I also help clients enforce and license their patents around the world. 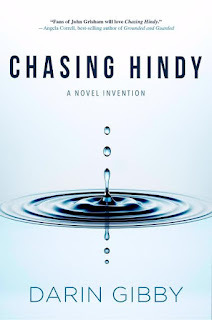 In addition to Chasing Hindy, I’ve written three other books: Why Has America Stopped Inventing? (that explored the critical issue of America’s broken patent system), The Vintage Club (that tells the story of a group of the world’s wealthiest men who are chasing a legend about a wine that can make you live forever) and Gil (that is about a high school coach who discovers that he can pitch with deadly speed and is given an offer to play with the Rockies during a player’s strike. Gil soon discovers, however, that his unexpected gift is the result of a rare disease, and continuing to pitch may hasten his own death). I also travel quite a bit, run triathlons and enjoy back country fly-fishing trips and skiing in the Rocky Mountains. I started writing about 12 years ago. I wrote several “practice books” before Why Has America Stopped Inventing? was published. 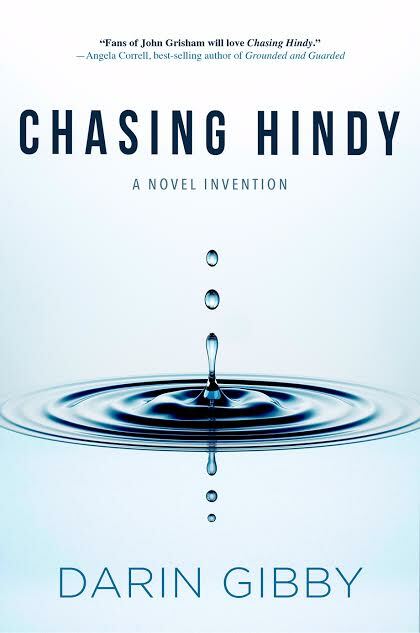 Chasing Hindy is about a patent attorney who thinks she's landed her dream job with a company who has invented a technology to let cars run on water only to discover that there are other interests who are poised to make sure it never comes to market. That was several decades ago, but I’ve always wondered whether that could possibly be true—and why all these people thought we’d all be driving cars that used water. In the following years, I realized that a car wouldn’t run on water per se, but from hydrogen that is extracted from water. The question, of course, is that if we know how to produce hydrogen, why aren’t there hydrogen cars? The answer is quite simple. As an engineer and patent attorney I know the science behind extracting hydrogen from water. The problem is that it takes more energy to do this than to just run a car on gasoline, or even electricity. But what if somebody invented a way to make it happen? That’s the germ of an idea that led to Chasing Hindy. I think it would be John Grisham. He has inspired me the most. He came out with The Firm when I was a first year law student. One of my classmates had a copy and we all read it in the first week it came out. I’ve read all of his books since then. Unfortunately, his last few haven’t been so great, but in his day he certainly produced some great stories. My agent recently retired, so for my next book I will be looking for a new one. I would have started writing when I was younger, and I definitely would have taken more creative writing classes in college. Chasing Hindy is available at most on-line retailers. Here are some links for Amazon and B&N. Learn how to write well. That was the hard lesson I had to learn. I even hired a coach to help me. I am currently working on a piece of historical fiction based in the mid-18th century. I was just at the New Jersey Historical Society doing research. I’m going to tell about an important and fascinating part of American history that has somehow been overlooked. 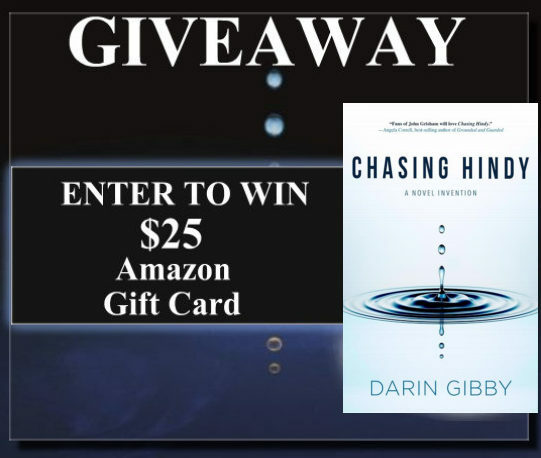 • This giveaway ends midnight June 30.